Errol was replaced during the summer of 1987 by vocalist Peter Royer. Perter, who was born in London, previously had a solo recording career. Segun has now replaced Ashley Ingram as the third member of Imagination. Segun is an accomplished musician, playing guitar, bass, drums, keyboards and trombone; he is also a much sought after session singer. 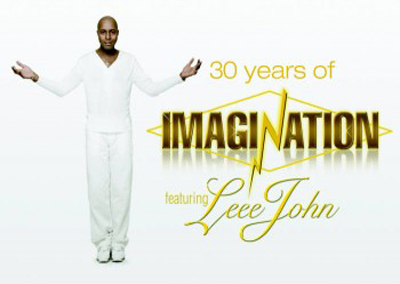 The multi-talented Leee John has not only spent the last 10 years as lead vocalist and showman for Imagination, but has managed to incorporate his own T.V. chat show, Leee’s Place, he hosted the World Disco Dance Championships and appeared in the cult T.V. show Dr. Who. Leee is in great demand, not only for his skills in front of the camera but also as a songwriter and producer. Imagination was so named as a tribute to John Lennon and Imagine . Released in May 1981, the single Body Talk was the start of a success story that has few parallels. In And Out Of Love , Flashback , Just An Illusion (a Diamond Award winner for 1.000.000 copies sold) and Music And Lights secured the group further Top Ten Hits, whilst their debut album spent 51 weeks on the U.K. album chart. Their first sell-out European tour, including 22 shows in Britain during the autumn of 1982, coincided with the single and album In The Heat Of The Night . Success followed success during 1983 when their Night Dubbing album became their third to accrue Gold status. Further chart singles including, Changes , Looking At Midnight , In The Heat Of The Night and New Dimension followed in 1983/84. By the middle of 1984, with a fourth album Scandalous under their belts, Imagination played to Royalty at the Princes’ Trust Royal Albert Hall Show. This was followed by a stadium show to over 100.000 people in Algeria and a month long Spanish tour. 1985 saw the band again touring the U.K., Europe and Far East, dates that led in 1986 to the bands Fifth Anniversary. An event that was celebrated in style by the capacity show at The Royal Albert Hall on May 15th and coincided with a Top 20 single Thank You My Love . Imagination signed to RCA in 1987 and wrote and recorded the album Closer in America with producers Arthur Baker, Preston Glass, Nick Martinelli, Ron Kersey and Robert Kraft. 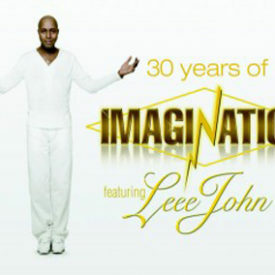 During 1988, Imagination spent considerable time in America both performing and appearing on T.V. and Radio and during that summer achieved the Number 1 spot in the Billboard Dance Charts with a smash single Instinctual from the Closer album. The groups last album, released in August 1989 titled Like it is reached number 4 in the U.K. album chart with Double Gold status being achieved in 12 weeks. The album remained in the U.K. top 100 albums for 38 weeks. Endorsing the success of the album in the U.K. Like It Is charted all over Europe and the “Megamix” single first released in France in June 1989, was in the top ten in France for 4 months and charted throughout Europe. On September 2nd, 1989 the group embarked on the first leg of a six month World tour. Their opening concert in France saw them playing to 42.000 people in Dunkerque, followed by dates in Germany, Switzerland and further dates in France. The tour reached the U.K. in December playing seven dates across the country, culminating in a sell-out Christmas Show at The Hammersmith Odeon. Due to the immense popularity of Imagination, the tour was extended beyond the original 6 months, undertaking a gruelling live 6 week, 31 shows sell out tour of Russia, a tour of India, Sri Lanka, Angola and the Reunion and surrounding Islands, the group is constantly in demand. With the release of the long awaited new album titled Fascination Of The Physical throughout Europe with Japan and America to follow in the autumn, Imagination are now embarking on their second decade. They are a fully credible music force; check out – Fascination of the Physical , and you will agree.